The Assistant Manager for the Marina Restaurant is responsible for delivering exceptional “Yes I Can” customer service both as a role model, and by hiring and training a great team. This leadership position will support the management of the of hosts, servers, bartenders and bussers; guest service and crew relations; cleanliness standards and dining room operating procedures. The Assistant Manager is a key management member; acting as both a leader and a team player and must work closely with the Restaurant Manager and General Manager to achieve objectives in the areas of daily operations, people, products and controls. We are looking for an individual who strives to provide unforgettable guest experiences, is passionate about great food and who thrives in a fast-paced, dynamic team environment. The ideal candidate will have significant experience leading a service team and the ability to foster strong relationships in a restaurant work environment. A post-secondary degree or diploma in Hotel/Restaurant Management is an asset. 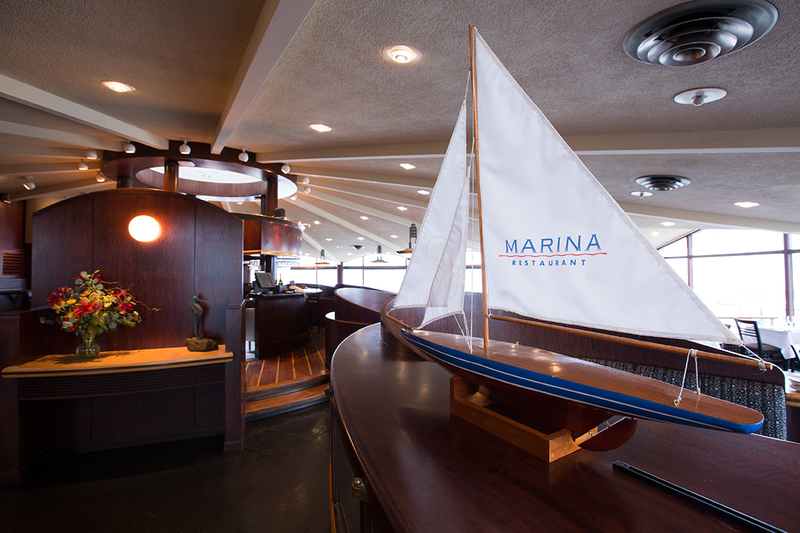 You will work in the award-winning Marina Restaurant, a local favourite and “must see” tourism destination. You can take pride knowing our seafood menu is 100% Certified Ocean Wise and we believe in buying local, including sustainable seafood. With sweeping views of Mt. Baker and the Straits of Juan de Fuca, the Marina Restaurant at the Oak Bay Marina offers a feast for all your senses. As well as being able to provide ample free parking onsite, as part of the Oak Bay Marine Group we offer great staff discounts at our other locations, learning & development opportunities and an employee benefits program. Apply today!! Send us your resume and cover letter as soon as possible! Leads the front end crew; makes sure the crew understand the “Yes I Can” service philosophy and standards and their responsibilities, thoroughly training the crew to perform these duties and understand how this performance affects the sales and profits of our business. Support the Yes I Can Core Values and ensures these values are cascaded to all crew members. Ensures each crew member receives direct supervision and support. Maintains a regular presence within the front of house whereby the Assistant Manager leads by example – works shoulder to shoulder with the staff and becomes familiar with regular guests and members of the community. Follows prescribed training programs, on boarding for all new crew members in the front of house and conducts performance evaluations with the Restaurant Manager. Works with the Restaurant Manager to develop and promote upsell programs for the crew i.e. wine, starters, specials, desserts, etc. Actively participates as a member of the restaurant management team, and builds relationships with and supports all other members of the management team. Responsible for ordering and maintaining par levels for dry storage, beer and liquor. Ensures the well-being of guests and crew – generate an aura of professionalism in the Dining Room. Ensures quality and consistency of service for every shift, including consistent and timely communication. Ensures staff cash out training is provided, as outlined by accounting practices of the company. Develops incentive programs to increase revenue through up-sell campaigns. Ensures productive relationships and effective communication in the dining room, and between the kitchen and dining room. Assists the Restaurant Manager to achieve company-wide goals and business priorities. Ensures first class appearance of the dining room including displays, maintenance, storage and cleaning standards. Ensures dining room labour is timely and well controlled. Keeps abreast of all restaurant activities and receives suggestions that will enable him/her to remain current in satisfying the guest’s needs. Comply with all policies, procedures and regulations including the OBMG employee Handbook. Attend and participate in all regularly scheduled crew meetings. Perform additional duties as assigned by Restaurant Manager. A post-secondary degree or diploma in Hotel/Restaurant Management is an asset. WSET Level 1 or equivalent an asset. Serving It Right certification is required. Foodsafe Level 1 is required. Foodsafe Level 2 an asset. Strong working knowledge of “Word” and “Excel” and Squirrel. Excellent human resource management skills. Excellent organizational, analytical and communication skills. Specialized knowledge of budgeting and accounting. Occupational first aid is an asset. Experience successfully leading a dynamic team. Experience fostering a positive FOH and BOH relationship. 5-10 years high end/volume customer service in a similar work environment. Personal Effectiveness: Has the ability to assessing strengths and weaknesses and engage in ongoing self-development and improvement; maintains effectiveness in the face of change or ambiguity. Communication Skills: Openly communicates in an honest, persuasive and articulate manner. Interpersonal Skills: Demonstrates effective interpersonal skills and works cooperatively and effectively within and across organizational units to achieve common goals; treats people fairly, with dignity and integrity, to promote commitment, productivity and good morale. Employee Development: Has the desire and ability to develop others by providing a supportive growth environment and by coaching and mentoring. Building Relationships: Has the ability to build or maintain relationships, networks or contacts as a priority of the job. Results Orientation: Focuses efforts on achieving quality results consistent with the OBMG vision through promoting a welcoming and productive climate. Business Acumen: Has the ability to understand the business implication of decisions and the ability to strive to improve organizational performance. Is aware of business issues, processes and outcomes as they impact the client’s and the organization’s business needs. Business Understanding: Sets direction and operates in keeping with an understanding of the industry, market dynamics and priorities. Organizational and Environmental Awareness: Understands the workings, structure and culture of the organization as well as the political, social and economic climate in which the organization operates. This position demands a person who is energetic, flexible, organized and prepared to execute a wide variety of tasks in a high-pressure environment, consistently delivering results that contribute to the overall success of the company. Ability to lift, carry and bend.